Li Wanqiang, co-founder of Xiaomi, disclosed yesterday that about 16 million Xiaomi phones were shipped in the second quarter of this year. Lei Jun, CEO and co-founder, had announced earlier this month that shipments in Q3 increased 20% quarter-on-quarter. The company made RMB33 billion (US$5bn) in sales from 26.11 million phones in the first two months of this year. 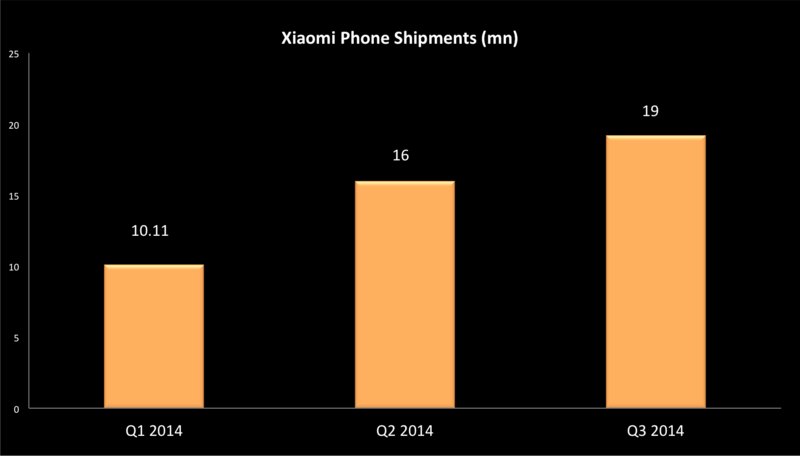 So a total of over 45 million Xiaomi phones were shipped in the first three quarters of 2014. 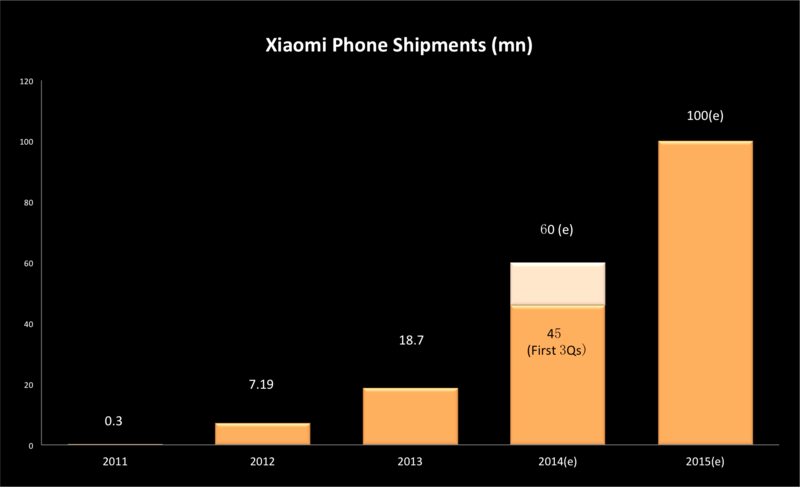 Xiaomi had shipped a total of 52.3 million phones as of June 2014, according to the company, with a shipment goal for this year of 60 million. Lin Bin, another Xiaomi co-founder, said in an interview with NIKKEI several days ago, that their goal for 2015 is 100 million units.